Making its debut this season, the Tambura is named for its drum-like shape. The soft, compact bag is crafted in traditional intrecciato nappa with oversize woven zipper pulls and a woven cross-body strap. The extra-long zipper allows the bag to take on the look of a bucket bag when carried open by the two short straps. 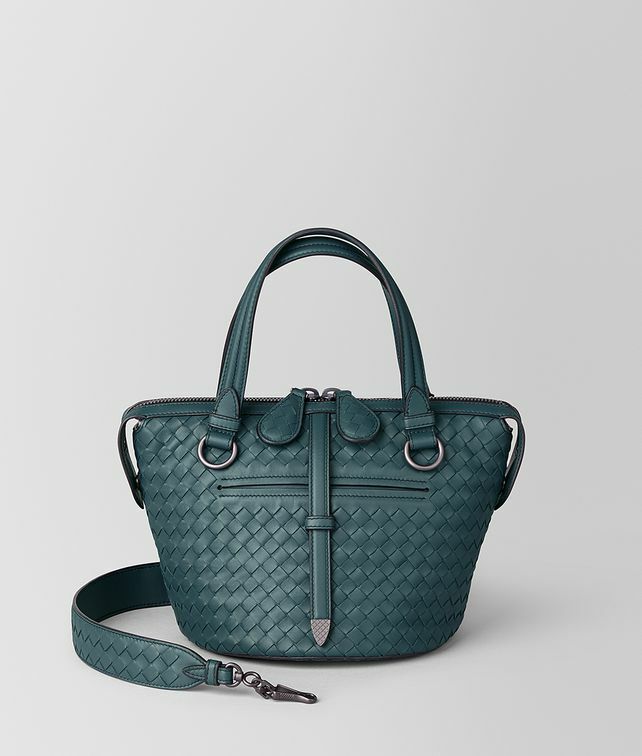 With unique yet elegant style, the Tambura is a future Bottega Veneta icon. Depth: 20.5 cm | 8"